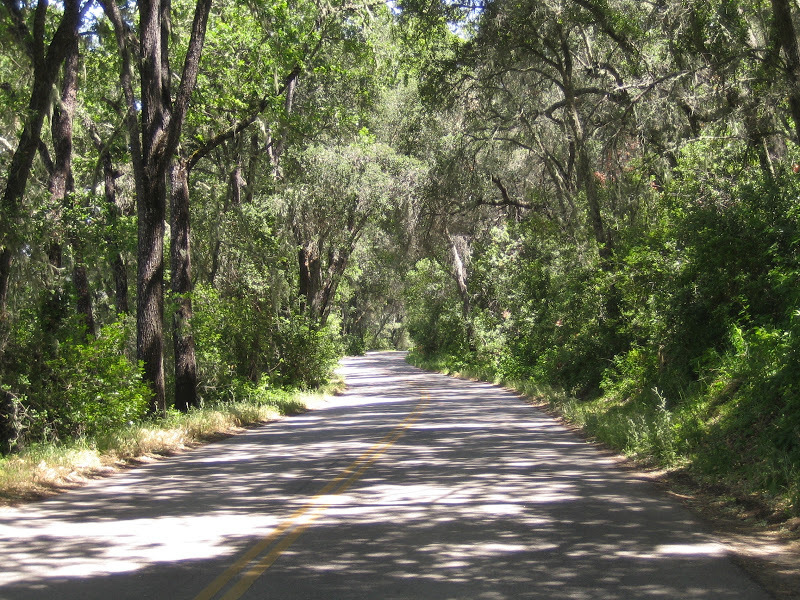 York Mountain Road is a narrow oak tree lined street. On Friday, the county planning department approved a permit for a combination indoor and outdoor marijuana farm on a 77-acre lot west of Templeton. In approving the project, county staffers appear to have allowed violations of both the county marijuana ordinance and a temporary county resolution. On behalf of her clients, Frank Riciliano, Jim McAllister and Laura Gardner, Jamie Jones of Kirk Consulting submitted an application for a minor use permit for a marijuana grow at 6480 York Mountain Road. At the hearing, which was the first county planning department hearing for the emerging cannabis industry, planning department staff approved a minor use permit for two outdoor grows totaling three acres and multiple indoor grows totaling 22,000 square feet. Earlier this year, the board of supervisors voted to temporary ban expanding existing grows or allowing new cannabis grows, aside from the 141 marijuana cultivation registered through the 2016 urgency ordinance. “The cannabis cultivation shall not expand beyond that which existed on or before Aug. 26, 2016, as registered under the Urgency Ordinance,” according to the Abeyance Resolution approved on June 19, 2018. The board did, however, vote to allow growers to relocate their cannabis grows from one property to another. In the York Mountain application, Jones listed two Urgency Ordinance cultivation registrations: one under the name of Laura Gardner and the other under James McAllister. The two approved urgency registrations total 7,340 square feet of grow area. Laura Garndner’s registration number 156, was for a 140 square foot grow in Nipomo. McAllister’s registration number 135 was for a 7,200 square foot grow at 3345 Ryan Road in Creston. James McAllister’s pot grow at 3345 Ryan Road in Creston. Even though each urgency registration can only be used to apply for one permit, Jones applied to move registration number 135 from Ryan Road to York Mountain Road, while also applying for a permit for a 11,200 square foot indoor grow at Ryan Road in Creston based on the grows prior registration under the urgency ordinance. In addition, while the county cannabis ordinance states that conditional use permit approval is required for “any land use permit proposing more than one cannabis activity on one site, or more than one of the same cannabis activity on one site,” which is the case of the York Mountain Road application. Even so, Jones applied for and was approved for a minor use permit at the proposed York Mountain Road site. An error planning department staff appears to have caught, but ignored. On the application, the county highlighted “minor use permit” in yellow. While planning department staff can approve minor use permits, conditional use permits require approval from the SLO County Planning Commission. The permit approved Friday also allows the applicants to construct two metal buildings which, in addition to housing nursery plants, would contain offices, storage rooms, marijuana processing areas and bathrooms. On a daily basis, there would be six to eight employees working on the property, five of whom would be living on site. County staff said the project complies with regulatory requirements, and that the property has a history of farming operations dating back to the 1890s. 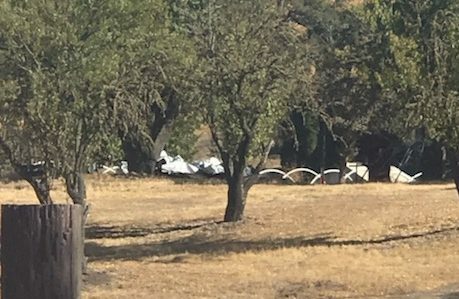 Over the years, the site has been used for cultivating grapes, squash and peas; dry farming grapes, barley and oat hay; and raising cattle, horses, poultry and swine, according to a staff report. During public comment, several neighbors disagreed with staff saying there has been no commercial cultivation on the property in decades. Neighbors also voiced concerns over smell and the loss of oak trees if the road is widened. Approximately 20 neighbors have banded together with a plan to appeal the county planning department’s approval. York Mtn neighbor opposition, please contact us (a group on the same warpath in a different area) through the author of this article. We have a similar situation and could share info and combine our voices. Before the neighbors spend a bunch on hate and discontent, there may be other jurisdictions that trump the planning department. If not, the pot farmers have rights and they will have the money that talks. Guess who lobbied $$$ for the supported prop 64. I don’t think they ignored anything. They were probably just smoking a joint while looking this over and they thought it was probably a pretty good idea. This is exactly what you get when you hire the best for the most.